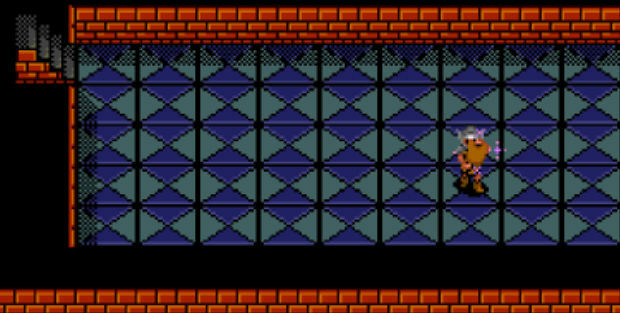 Fatal Labyrinth is another example of a game that I played over and over again out of sheer determination. Not that it was a bad game, per se, but it felt like a very unfair one. At the time, I had little experience with roguelikes and the unique challenges that they bring. Needless to say, I was unprepared for how appropriate the game's title would be as a child. Still, I always seemed to have fun playing it even if I never saw the ending or even progressed particularly far. Never really knowing what was around every corner -- the sheer randomness of the entire exercise -- kept me coming back just as much as the challenge level. It was a rough game, to be certain, but it's hard to say if it was my own idiosyncracies or the actual quality of the design which endeared it to me. Fatal Labryinth is about as cookie-cutter as it gets for fantasy adventure games. A horrible dragon, long thought to have been defeated by a legendary warrior, has reared its scaly head again and is terrorizing a village. Monsters have been wandering out at night and striking fear into the helpless citizenry and a lone man decides to risk his life to save the community. 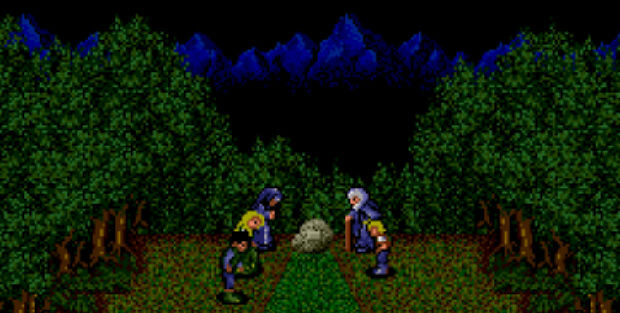 The game is an almost perfect example of a roguelike for the Sega Genesis. 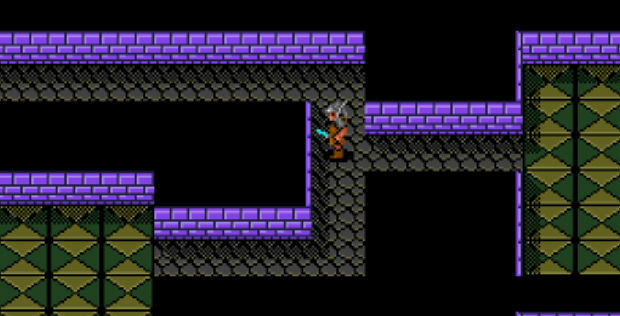 Dungeon levels are generated at random and the goal of each is to find the stairs to the next through exploration. Standing in your way are an assortment of vile creatures with which you must contend. The whole game is turn-based, with monsters taking an action after you perform one. When you move or attack, they respond with movement or an attack of their own. Dungeons often have to be explored very thoroughly, not least to kill all of the monsters and get all the best equipment but simply tracking down the exit can be a feat. While rooms will expose themselves in their entirety upon entry, finding a way out of them can be tricky. 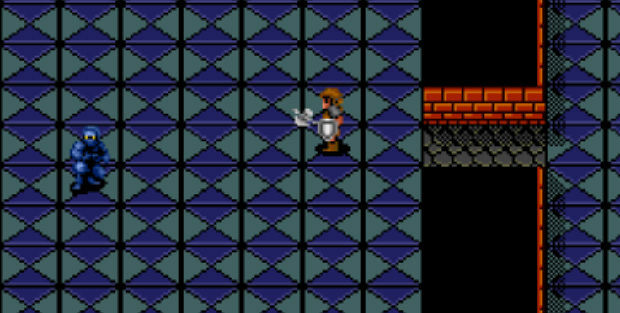 Your character only trailblazes in the eight squares surrounding him, meaning that you may have to walk the entire perimeter of a room before finding a new hallway if one even exists. Even still, this may not be enough due to the game's love of secret doors which must be interacted with and it's possible to spawn in a new level with no visible way to progress, leaving no option but to check every square of wall for the door out. There is a wide range of items strewn about the halls including weapons, armor, helmets, shields, magical rods, scrolls, potions and rings. When you pick these items up, you have no indication of what it is that they do until you make use of them. Thus, identifying your equipment becomes a big part of the game, as the basic descriptions of items are vague. Using an item reveals its purpose for the remainder of play but they are all randomized again at the start of a new play session. Some of these items have positive effects while others will be detrimental to your progress. Rods at your disposal could remove monster's ability to cast spells or they could confuse your actions, making every move out of your direct control for a lengthy period of time. There is a decent range of effects and while most items will be helpful to you, the ones that hurt can cause some very serious problems. Hunger plays a big part as well. If your character is kept fed, his health will regenerate at a fairly brisk pace with a little coming back every few moves you make. If allowed to go hungry, this highly important benefit goes away until you can find more food. On the other side of things, eating too much food can be a very bad thing. If you eat everything in sight, the hero will become sluggish until enough time has passed that he isn't so stuffed. Keep eating past this point and he dies. This could be due to a food coma, but I prefer to think that his stomach explodes like the first victim in the movie Se7en. As you kill monsters, you will gain levels. These reward you with a greater maximum health, faster health regeneration and a nifty new title. The game's other stats, attack and defense, are primarily affected by the weapons and armor that you equip, though some items can also provide a permanent bonus to these. 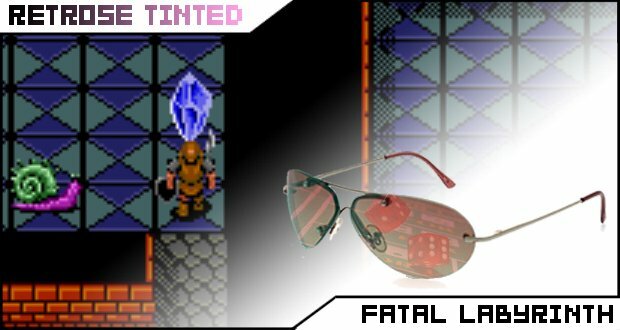 Unlike many roguelikes, death is not necessarily permanent in Fatal Labryinth. Every five levels of the dungeon features a checkpoint that you can return to when you've bitten the dust. You'll continue with all of the equipment you had upon starting that level and at the same experience rank you were at that point. Of course, the dungeons continue to be completely random and there's a decent chance that you may never see a rare piece of equipment formerly in your inventory ever again. The result of all of these mechanics is a very intimidating game to start playing. Not knowing what anything does and the likelihood that curses could be the end of you in the weakened state of a newly beginning adventurer can frustrate players. In the first three games I played to write this column, I died due to starvation from a curse, from monsters ganging up on me and giving up after opening up a huge amount of dungeon only to discover that had to have been a secret door somewhere in the bloody maze which would take me to the stairs. All of this before progressing a mere five levels in. The great thing about it is how the challenge manages to persist even once you've managed to overcome the initial stumbling blocks. Monsters that can destroy your hard-earned weapons and armor begin to appear right about the time you should start to have your ducks in a row, making you excruciatingly vulnerable. Other enemies will cast curses on you, not to mention that most of them are perfectly capable of laying a serious beating on you. Though not for the easily overwhelmed, Fatal Labyrinth is actually a lot of fun if you can persist through it. I can't simply because I know such an endeavor would devour my life but I bet killing that dragon is a really satisfying experience after the hell the game puts you through to get there.